This book is a note-by note introduction to thumb position on the cello. Beginning with shifting to only the thumb, then adding one finger at a time, the exercises allow the teacher to introduce thumb position to the student gradually and easily. The book teaches the transition to thumb position in every exercise, then focuses on "high" second finger, playing across strings, and ends with moving the thumb to different positions. 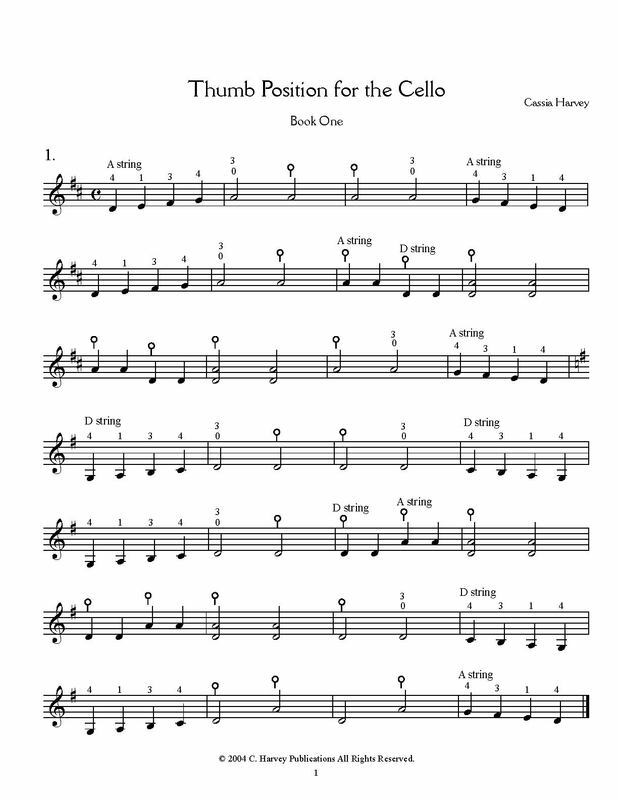 This book can be used in conjunction with Thumb Position Duets for the Cello, and can be followed by Thumb Position for the Cello, Book Two.